The Umihara Kawase series has always flown a bit under the radar, to say the least. The original title wasn’t a big name Japanese release when it first arrived on the Super Famicom or the PlayStation, nor was it even something that got a lot of coverage in import-friendly magazines like Gamefan. Remakes were plentiful, but coverage was still minuscule. 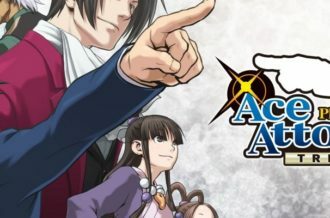 A North American release eluded the series, even on the Japan-friendly PSN, until the 3DS received the final planned game in the series. 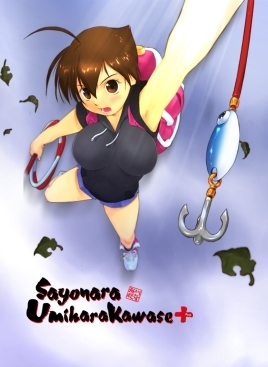 This title, known initially as Sayonara Umihara Kawase, was eventually rechristened Yumi’s Odd Odyssey. This eShop release hit about a year ago, and we gave it respectable marks. Sayonara UmiharaKawase + gives Vita owners a chance to experience that game for the first time, as well as an opportunity enjoy the PlayStation version of Umihara Kawase. The end result is the most definitive release the series has had to date, and it’s readily available in North America to boot. Series fans will appreciate the fact that Sayonara features the same intricate puzzle-platforming gameplay that gave the series underground respect on the Super Famicom and PlayStation. Theoretically, the idea of a platformer with a touch of action and a swinging item may seem like Bionic Commando in some fashion. On the surface, this is correct, but the fishing lure/fishing line combination offers up so much more gameplay variety than the classic Capcom platformer. You’ve got a lot more angles to work with here and a fairly realistic physics setup to consider every step of the way. 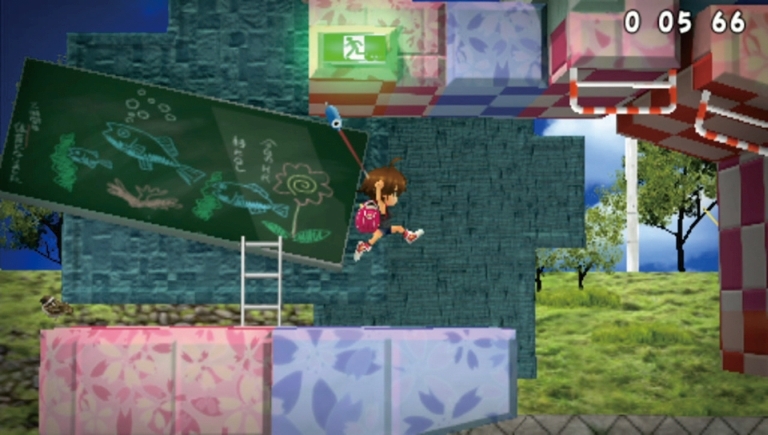 Sayonara revolves around controlling Umihara (or two additional characters) and using their items of choice to navigate the world. Jumping allows you to cross reasonably-sized gaps and hop onto ledges before subsequently shimmying up them. However, your main weapon of choice will undoubtedly be your fishing rod with super-strong filament. It allows you to not only injure enemies and place them into your backpack, but it also enables you to latch onto ceilings and move around a given stage. Much like Lupin the Third in the opening chase of Castle of Cagliostro, you can raise or lower your line as needed, and doing so will change how far you’re able to swing around. If you’ve got a long line, then you can sway much further, though you might wind up overshooting your target. Going with a medium-length line is a bit safer, but this shorter line might cause you to undershoot the area you need to reach. 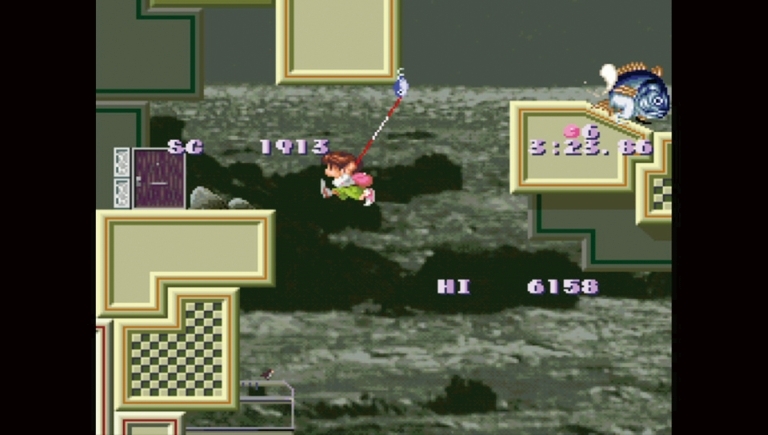 As you might expect, trial and error is a huge part of Sayonara Umihara Kawase+. You’ll need to fail a lot before you’re able to figure out the correct solution, which adds a distinctive puzzle aspect to the proceedings. Not only will you need to get the swinging-angle right at any given moment, but you’ll also have to discern what the right part of the ledge to stand on is. For instance, if you’re too far out, then you can reduce the length of the line, but this increases the potential for falling off of the landing ledge. All in all, this is certainly a tricky system, but it’s tough to argue that it isn’t fair. Sayonara Umihara Kawase+‘s difficulty scales just about perfectly throughout its campaign, which is important for a game with a somewhat steep initial learning curve. 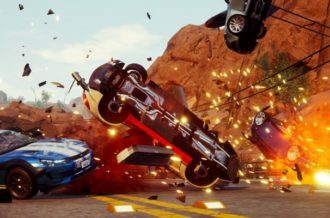 Luckily for those concerned about its challenge, Sayonara controls just about perfectly. 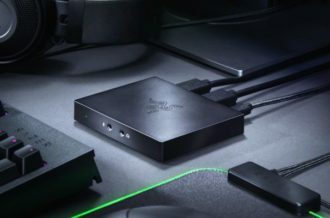 The D-pad moves your character around, X initiates jumps, and Square fires your line. This control scheme is certainly simple to learn, but mastering these mechanics requires a fair amount of skill and practice. If you ever find yourself struggling, a little Navi-style helper exists, but you can safely turn that off ( which is outstanding because it winds up becoming fairly annoying). Visually, Sayonara seems like a game that came out a decade after it should have. The overall presentation brings to mind Castlevania: The Dracula X Chronicles on the PSP. Much like in this remake of Rondo of Blood, you have a side-scrolling game with a polygonal art style instead of something more sprite-based alongside the inclusion of a game from the past. Also like the PSP revamps of Dracula X and Mega Man X, Sayonara Umihara Kawase+ feels like a game that “modernizes” the graphics at the expense of the overall art style. Well-crafted sprites and hand-drawn art tend to look far better than a mess of polygons, and that undoubtedly holds true here. While Umihara Kawaze+ is still a nice-looking game due to the sheer amount of colors on-screen, it still feels like a cheaply-made product from a bygone era. The new visuals don’t just look worse than those of the original release, they make final product noticeably harder to play. It’s often quite difficult to get a good sense of where you are in relation to enemies when you’re accidentally climbing ladders due to blind spots. A new red and green light system helps massage this issue in theory, but this queue doesn’t stay visible throughout the entirety of a climbing section. 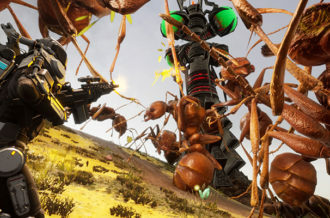 It’s hard not to wonder why the development team didn’t just make those portions transparent or translucent so you could see where your character is in relation to a foe. You’ll likely die quite a few times due to this, and while death isn’t really a huge deal, this problem is definitely annoying. Animations also look rather awkward at times; your character will oddly stutter in between frames while dangling off of things or while climbing. Lighting is another area where Sayonara UmiharaKawase + looks second-rate. There are stages that take place largely at night with only a few scattered light sources. 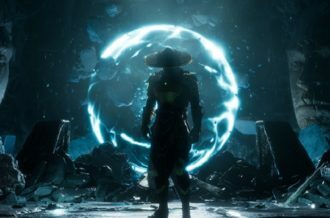 In theory, this should lead to some really atmospheric gameplay, but instead it winds up muddling the gameplay experience. Shows like Miami Vice and countless movies use darkness to bring a whole new set of colors to the screen. 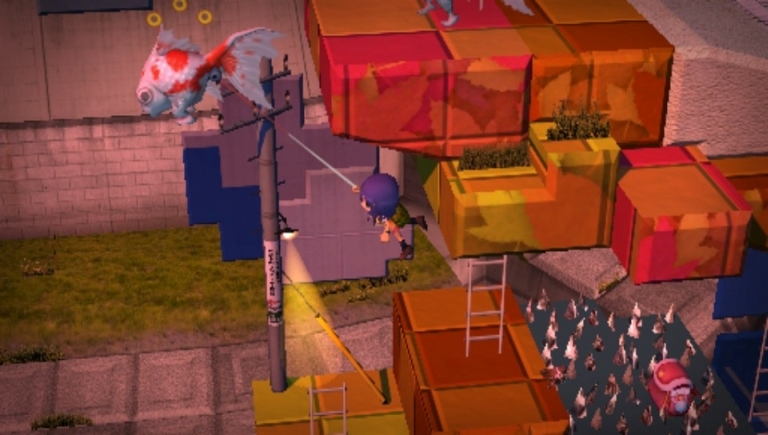 UK+ uses nighttime lighting to obscure many parts of the world, including ladders and, shockingly, the door you need to go through to complete a stage. The Umihara Kawase series has always had a fairly happy soundtrack, but it’s taken to a different level with Sayonara. The soundtrack has a tendency to be overly cheerful, although some songs (especially the one featured at the title screen) are excellent. They’re definitely chipper, but not sweet to the point where they’ll induce diabetes. Sayonara Umihara Kawase+‘s sound effect work is acceptable, complete with satisfying effects for dizzying enemies before you dispatch them with your line. Humorous squishes result in a smile-inducing cartoon sound effect, which contributes to the sound design’s overall light-hearted vibe. While Sayonara UmiharaKawase + has a lot of flaws, it’s still an excellent value. The franchise’s finale alone was $10 more than this is when it came out only one year ago, and that release didn’t include the original game. As a result, this version is a must for anyone who was ever intrigued by that game, and as a bonus, you have the opportunity to see a modernized reinterpretation of the original concept as well. While Sayonara is hurt by questionable graphical changes and iffy animations, the final product is true to the source material and worth playing for anyone who enjoys this particular series.